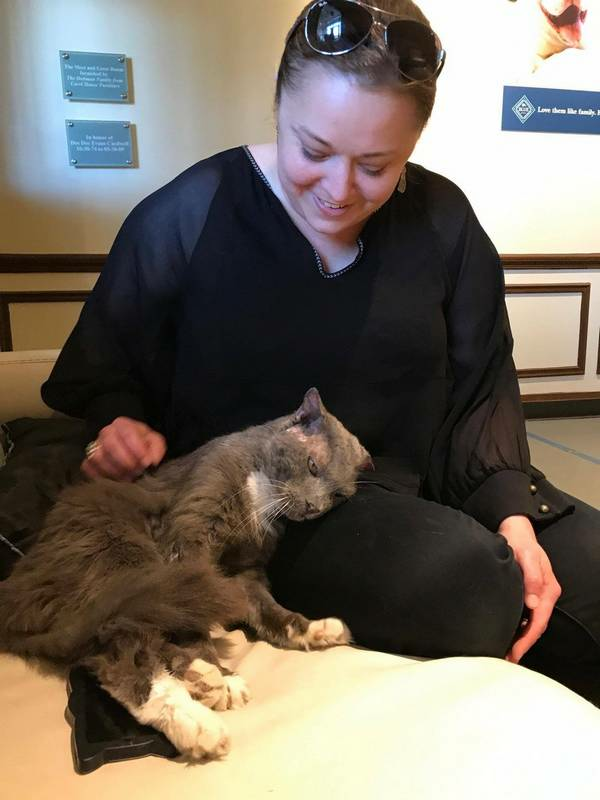 After he went missing,Nicodemus did not have an easy life. 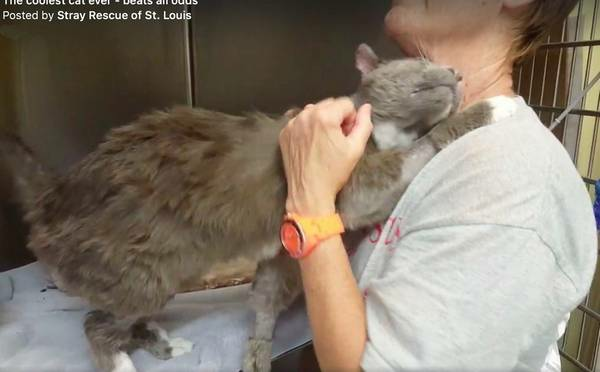 The poor stray cat was saved by volunteers from Stray Rescue of St. Louis, an American association that saves animals in distress. Nicodemus arrived in a terrible state at the refuge. His jaw was broken and he was also a carrier of VIF (Feline Immunodeficiency Virus), a serious viral disease. 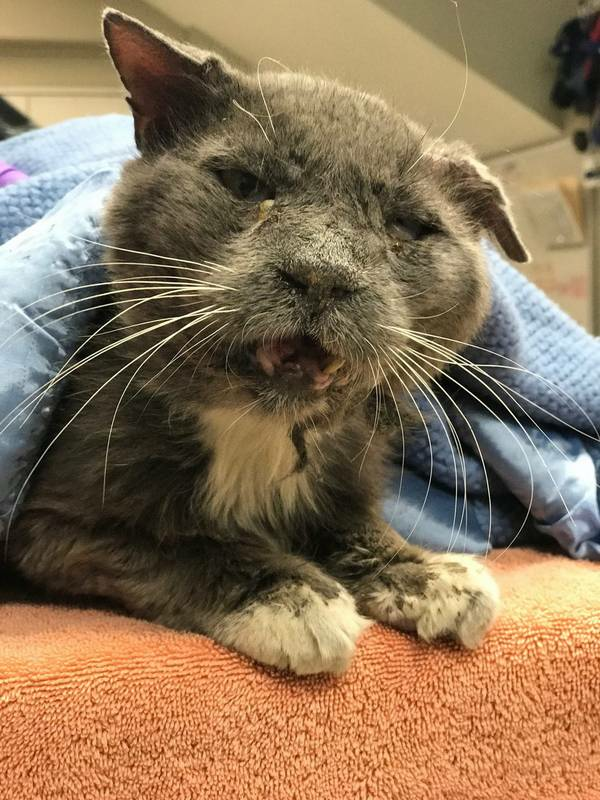 Rescuers did not know if Nicodemus was going to survive, but they did not give up and fought to give him a second chance. A long road to healing then began for Nicodemus. In less than two months, the little feline began to go much better. 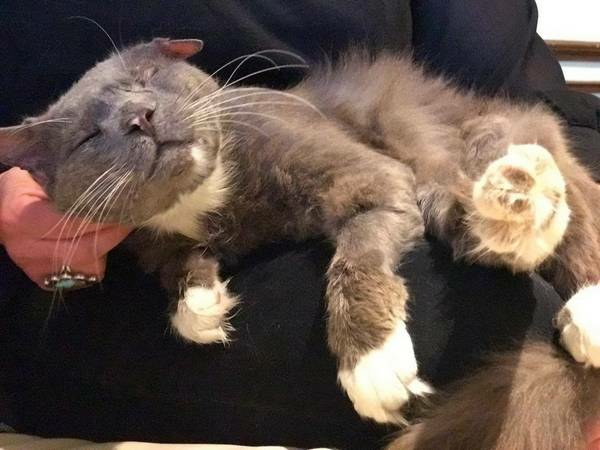 With a lot of love and cuddling, the adorable cat has not ceased to show his gratitude in a touching way to his rescuers. 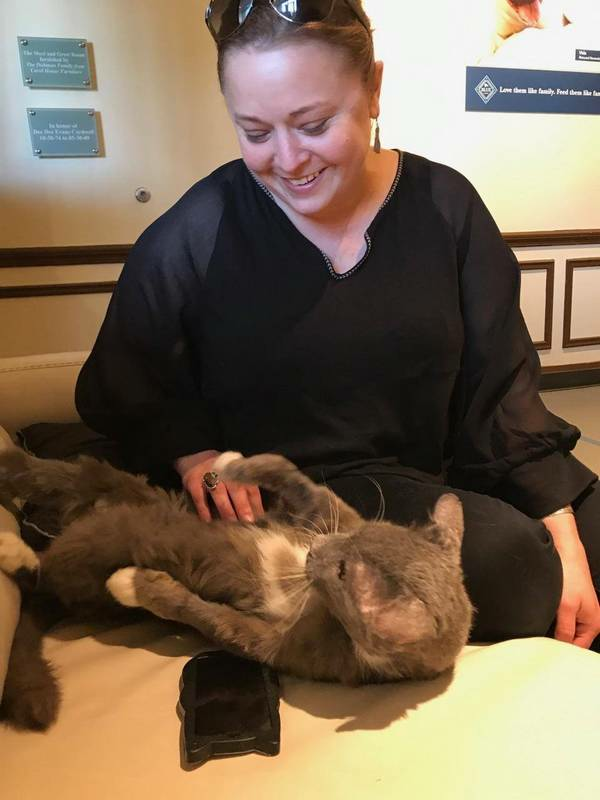 Few weeks after Nicodemus was ready to be adopted, a woman with a big heart came to the shelter to meet the little feline. Nicodemus then used his charms to be adopted. He snuggled up against his potential mistress and laid his head on her lap. The woman with the big heart could not resist and took Nicodemus to her house. The little feline then was able to start a new life in this house full of love. Nicodemus finally has the life he always dreamed of. His new mistress takes good care of him and gives him all the love he deserves.